Editor/Author Palmer Jr. Louis J. and Palmer, Xueyan Z. In this book, the roles of the Supreme Court and other judicial and legislative bodies are covered in great detail. 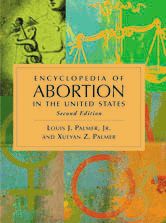 Entries focus on the "voting" position taken by every Supreme Court justice who has ever participated in an abortion decision; provide the actual abortion laws of each state; and summarize individual statutes to help nonspecialist readers understand the laws.